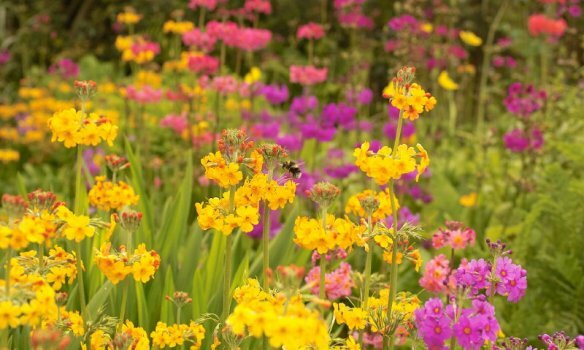 May saw a welcome return to Cothi Gardeners by Richard Bramley from Farmyard Nurseries to give us a talk on Primulas and Primula sieboldii in particular for which he holds one of the National Collections. These lovely, dainty primulas are surprisingly hardy. They like wetter climates and can cope with cold, although they are more vulnerable if kept in containers as they can freeze solid. 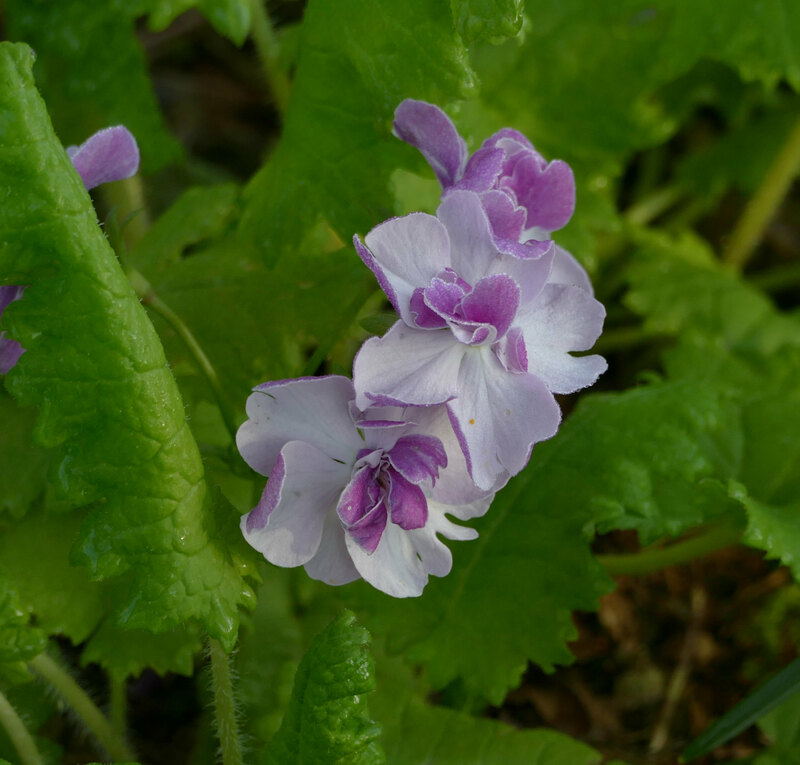 They occur in N E China, Korea and Japan where they are water meadow plants but will grow almost anywhere given the right conditions: moist, free draining soil in semi shade. There are many different flower forms and the flowers are either pin eyed or thrum eyed so as to avoid self fertilisation. They flower in Spring from April to early June. Growing from seed is easy. Pick the seed capsules when they turn yellow and sow straight away. They need a cold spell (gibberellic acid can be used) and light to germinate. Sow in seed trays and cover with vermiculite. This allows light and also retains moisture. Some named varieties can’t be grown from seed and have to be multiplied by division. This should be done in March and is also very easy. 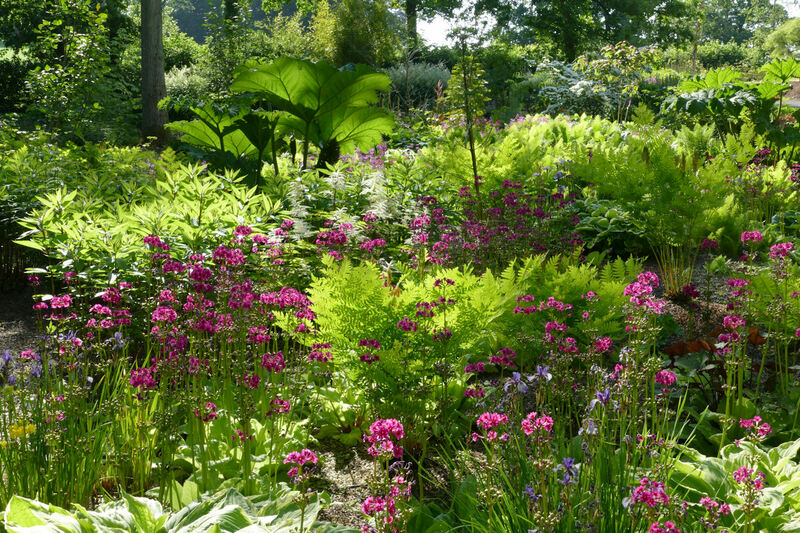 Primulas are a huge family ranging from the very easy such as primroses and polyanthus to the very difficult eg some of the alpine primulas. 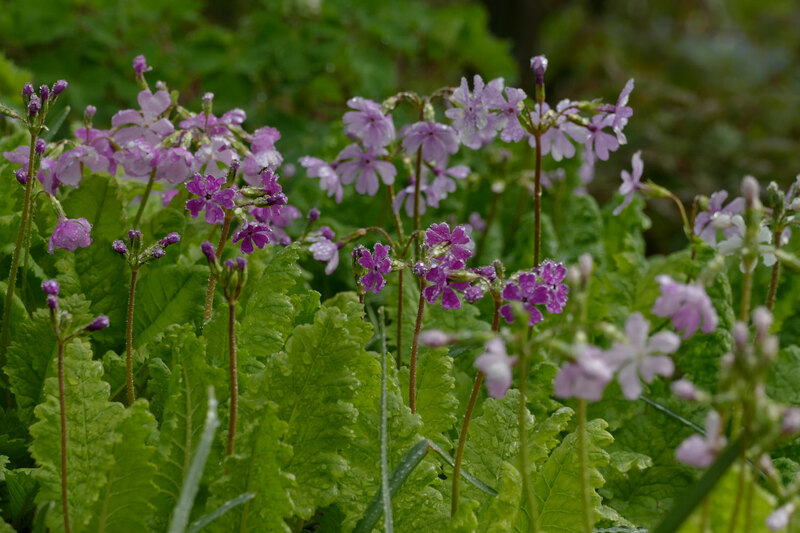 Primula japonica (Candelabra): These are moist soil plants preferring shady sites and flower May to June. 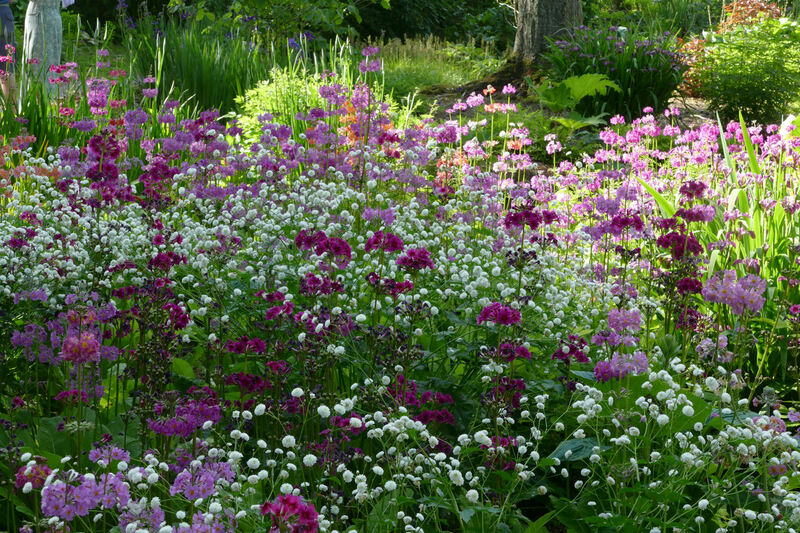 They hybridise and seed around freely often resulting in a mass of multi-coloured blooms. Primulas auricula: not too easy as they don’t like wet or being outside! Best grown in pots. 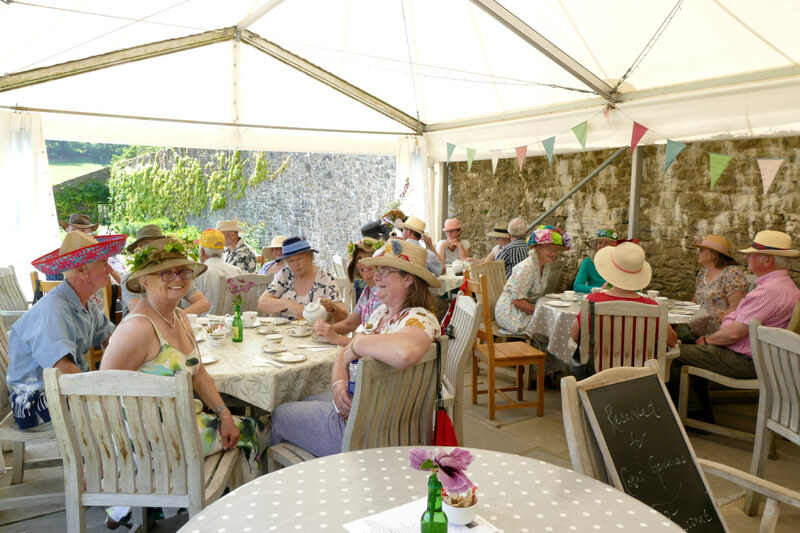 The weather pulled out all the stops for our tea party at Aberglasney. 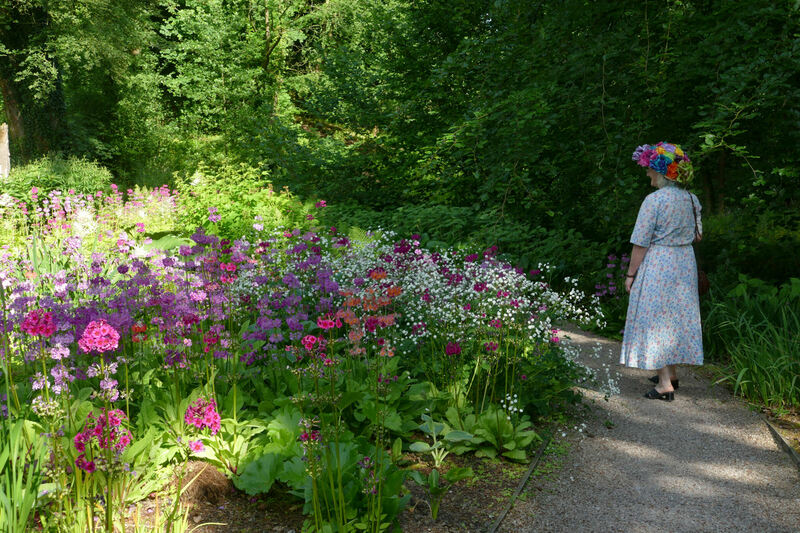 The gardens were looking beautiful in the sunshine…………. 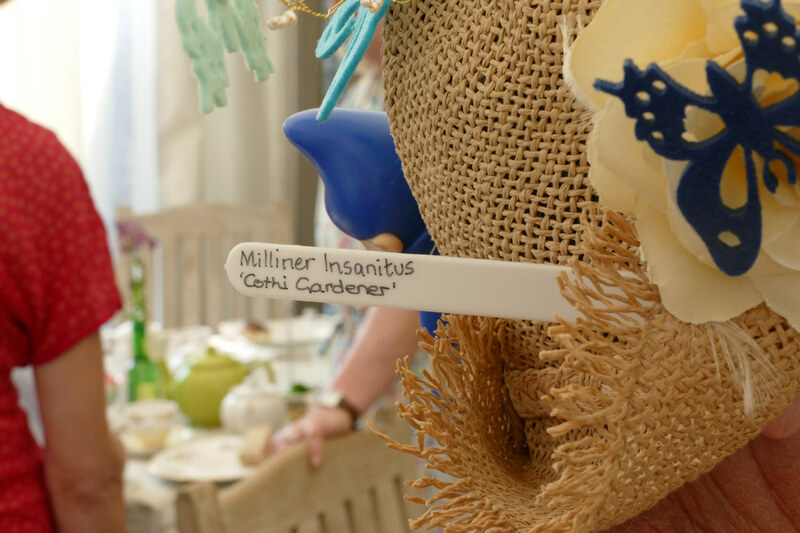 The afternoon tea was amazing, unlimited tea, delicious sandwiches and a wonderful selection of cakes catering to all tastes, and so many not one table was able to eat them all! 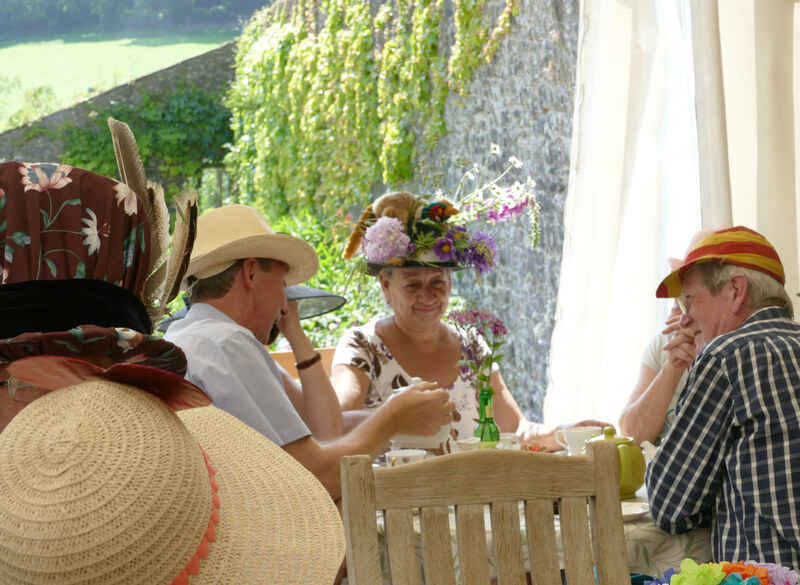 Everyone entered into the spirit of the occasion and came suitably attired in some amazing ‘mad’ hats. A very successful and thoroughly enjoyable afternoon. 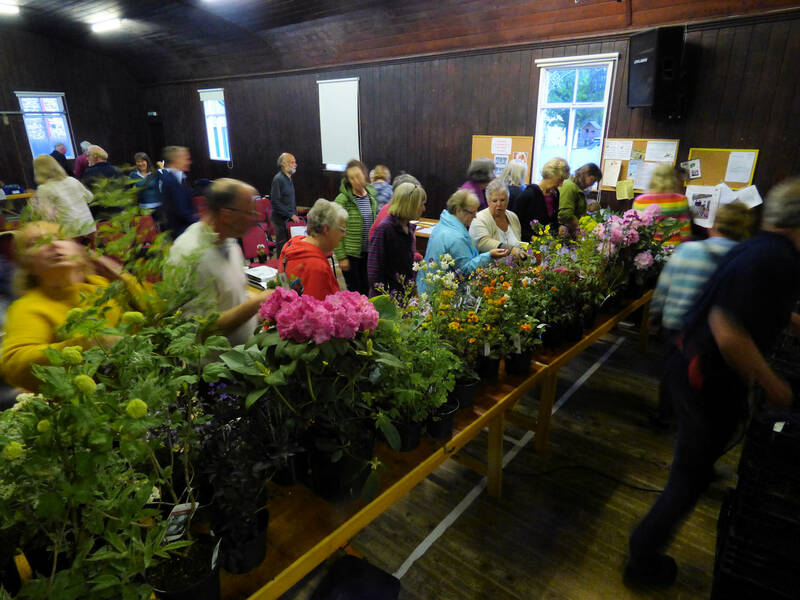 A reminder to grow plants not only for the Cothi Gardeners plant stall but also for the Tombola as it will be operated on an ‘every ticket wins’ basis so we need lots of small plants. Cakes will also be needed for the refreshments so please do sign up to make some if you can. Volunteers still needed to help make the day run smoothly. John will give us an update on planning progress at our next meeting in June. Don’t forget to get your pot of flowers for pollinators going for our August social. For our June meeting we welcome back Kari-Astri Davies who will be talking to us on this intriguing subject. By this time of year the cow parsley which grows along our roadsides is almost over but you can make a similar, frothy effect in your garden by choosing others from the umbellifer family, angelica or fennel for example. The butterflies and bees love these plants too. This is a bit of a plea for help… we have our annual wildflower survey and orchid count coming up at our reserve near Lampeter, Cae Blaen Dyffryn, on Saturday 16th June. Unfortunately despite having 12 volunteers last year, we only 2 have booked on this time. We could probably manage the survey part ok with small numbers but the orchid count will be tricky. So if anyone can spare some time to help it would be appreciated – particularly in the afternoon. If you are able to come along just complete this short form (here) and if you intend to come only for the morning or afternoon, just mention this in the ‘Anything we should be aware of’ box. (From Fiona) It’s a good time to split daffodil clumps and move them around, just as the foliage is dying down. Again it’s easy to miss doing this in the rush of jobs to do in May. We usually do! 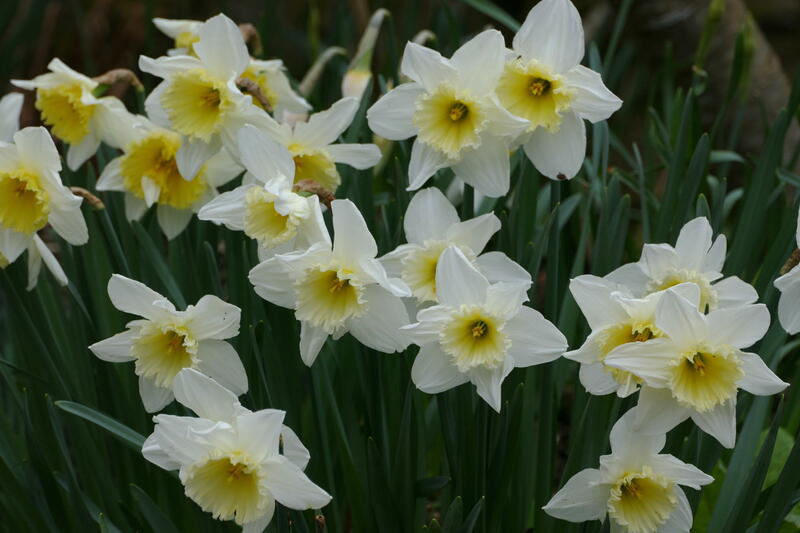 But if you can manage it, at least you can find the bulbs more easily, and work out where to put them. Again worth watering them in well, if the ground’s dry.